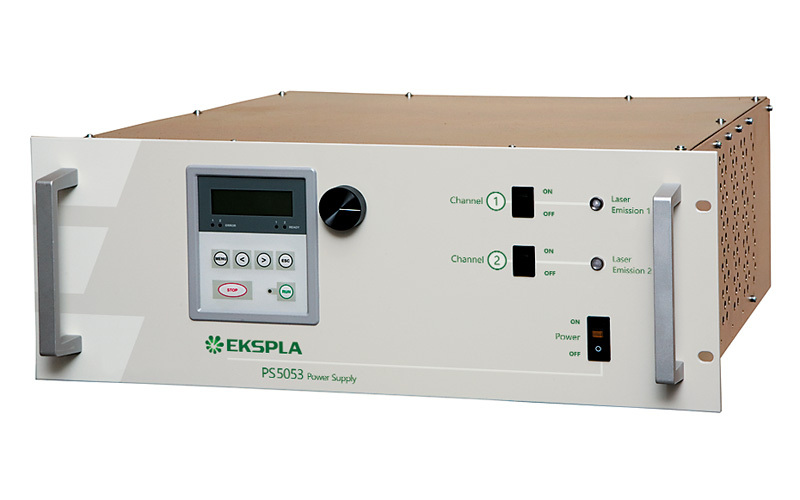 Flashlamp driver PS5053 is designed for flashlamp-pumped lasers and presents a two-channel device consisting of two capacitor charging, simmer/trigger and pulse forming modules and control circuit. 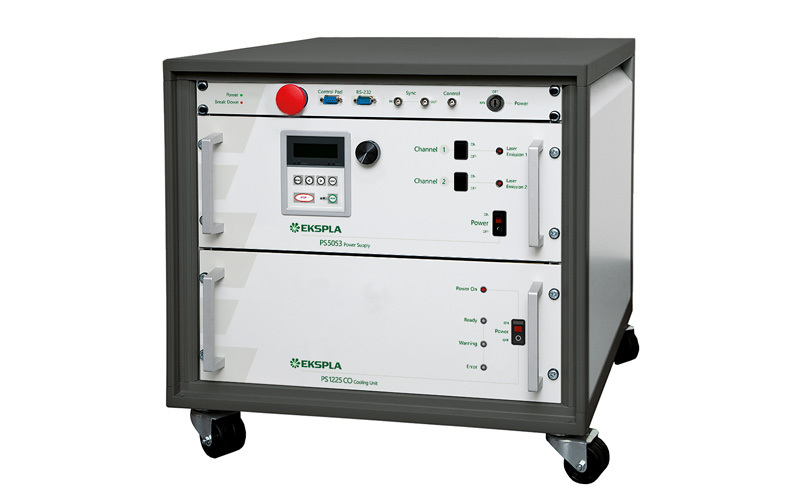 It is excellent choice for oscillator-amplifier laser systems. This model is an updated version of flashlamp driver PS5012. PS5053 features microprocessor control and back illuminated LCD display where all output parameters of power supply are conveniently displayed. Driver can be remotely controlled through RS-232 and CAN (Controller Area Network) interface. 1) Total for both channels 200 V or 208 V mains. 2) See Fig. 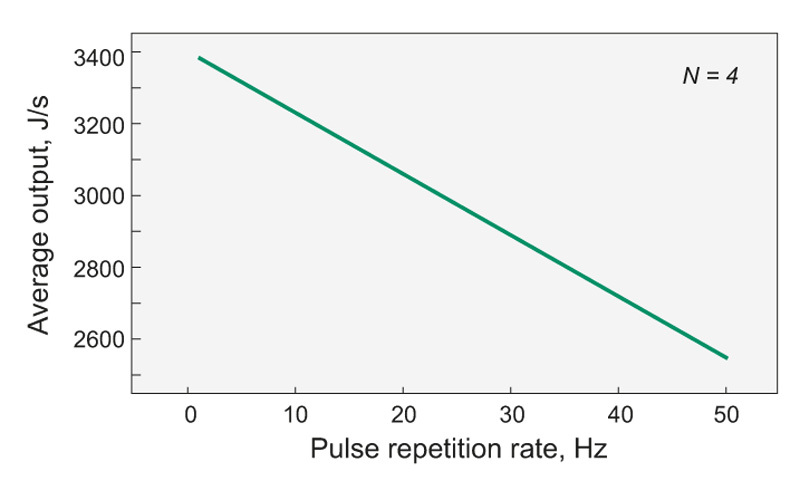 2 for other pulse repetition rates. 3) Inquire for other voltages. 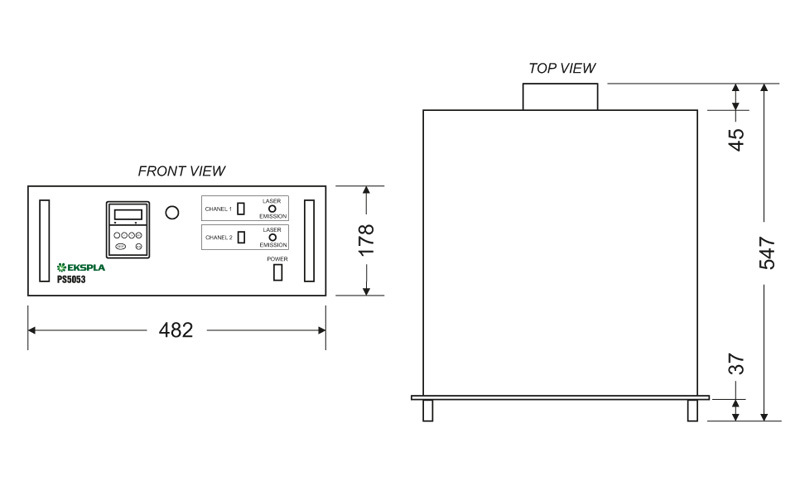 Specifications in table are given as reference. We always suggest to optimize power supply by customer’s usage conditions. Contact Ekspla if your requirements are different as in this table. We will consult you and make suggestion best matching your requirements.